Dylan tells Norma that he will be at the firm for a couple of days to get done with the work he started. The dynamic between Dylan and his mother has changed beyond imagination. They actually have a warm and nurturing relationship. 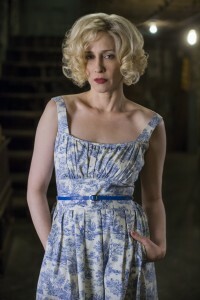 Norma has construction workers in the front of her motel and she finds out that they are working to build a pool there. 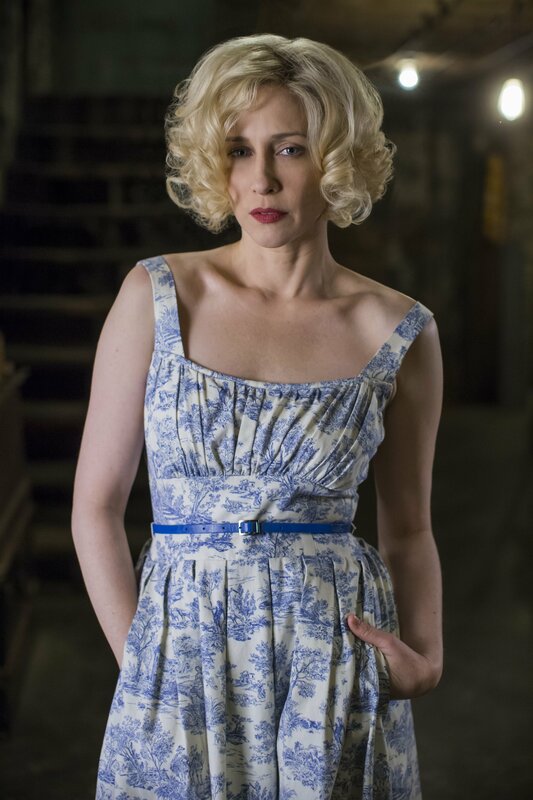 For a moment it looks like Norma’s bargain is finally paying off. Bob Paris had his men followed Norma the night she went loose and they did learned that she spent the night at James’. Paris is holding James captive to get information out of him but he refuses to give anything out, when they start torturing him. Chick is setting Dylan up for the run. It’s basically a simple job, well for them it is. Dylan has to deliver guns to someone who will pay him and he’ll come back with the money. Caleb tries to stop him and when he fails, he insists on accompanying Dylan, who agrees the deal. Romero gets Norma’s car back for her. While he is there, Romero looks into the hole dug for the pool and realizes that the Bob had no intentions of getting Norma a pool. He goes to have a conversation with Bob and learns that Norma was sleeping with James, who apparently had blabbered and told Paris that Norman was the one who killed his father and now Bob Pairs is using this information to turn Romero against Norma. He wants Romero to be on his side now and so far there is no positive response from the sheriff but who knows what he might be upto in the future. 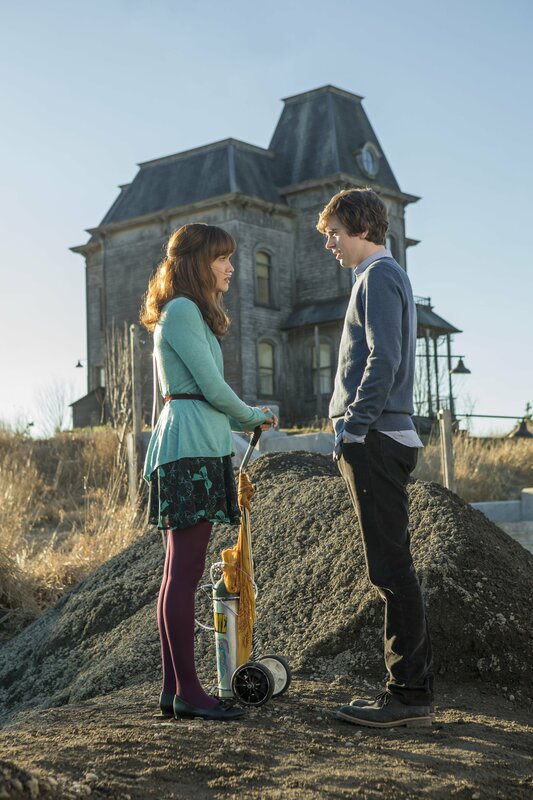 Emma breaks up with Norman and says that they did not belong with each other and that she felt like she they were forcefully working on the relationship. On the other hand, Romero comes to Norma for her to tell him the truth herself. He asks her how Norman’s father died and Norma lies again. Makes sense since he is the police who could take Norman away for committing such a crime and that is not what Norma would ever want. But Romero is done giving her chances and after giving her the last opportunity to confide in him, he walks away with deep disappointment. 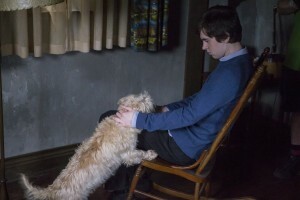 Norman comes to Norma in the middle of the night and tells her what James said. Norma handles it partially well as she tells Norman to shake off the weird feelings and let go of the thoughts he has about his mom. But then jumping in bed with him probably wasn’t the best next move Norma could have made. She also tells him that he was her whole world and that nothing could ever come between them. This kind of talk is not going to help Norman’s situation. If only Norma knew.Emma goes to the farm and learns that Dylan is out of town. She has a quick chat with Gunner. It turns out that Dylan and Caleb have been set up by Chick. Apparently, the men they took the delivery to wanted to kill Chick, so instead of getting any money, the father-son duo was lucky to get out of there alive. James runs out of town and advises Norma to do the same. 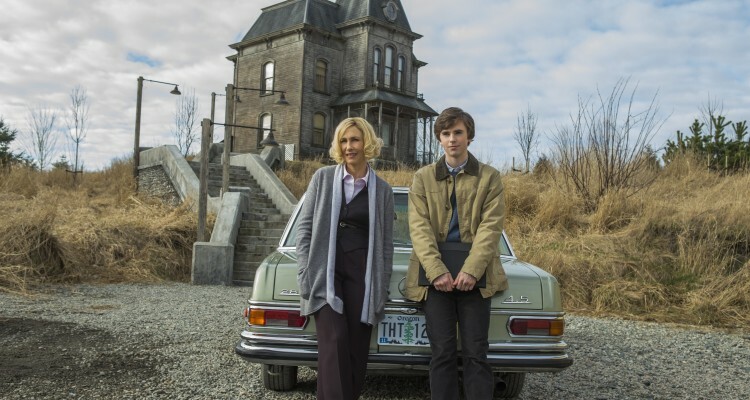 Norma comes rushing back to the house and informs Norman that they had to go into hiding too as she had jeopardized her son’s life by trusting James with the darkest secret of their lives. The best part of the episode, Bradley is finally back.